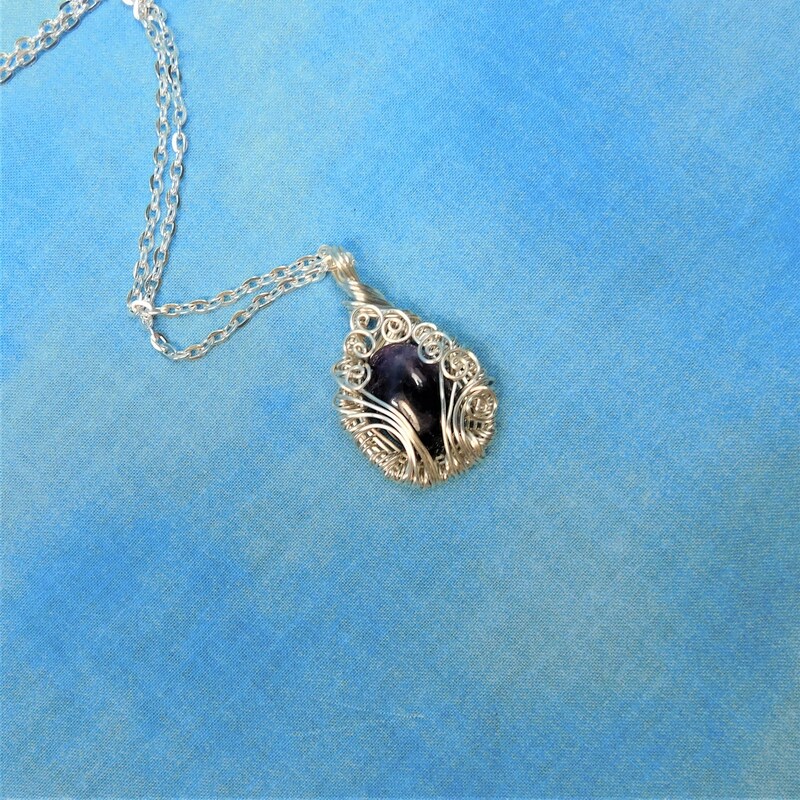 A polished, freeform shaped Amethyst is artistically framed in hand woven and sculpted wire. 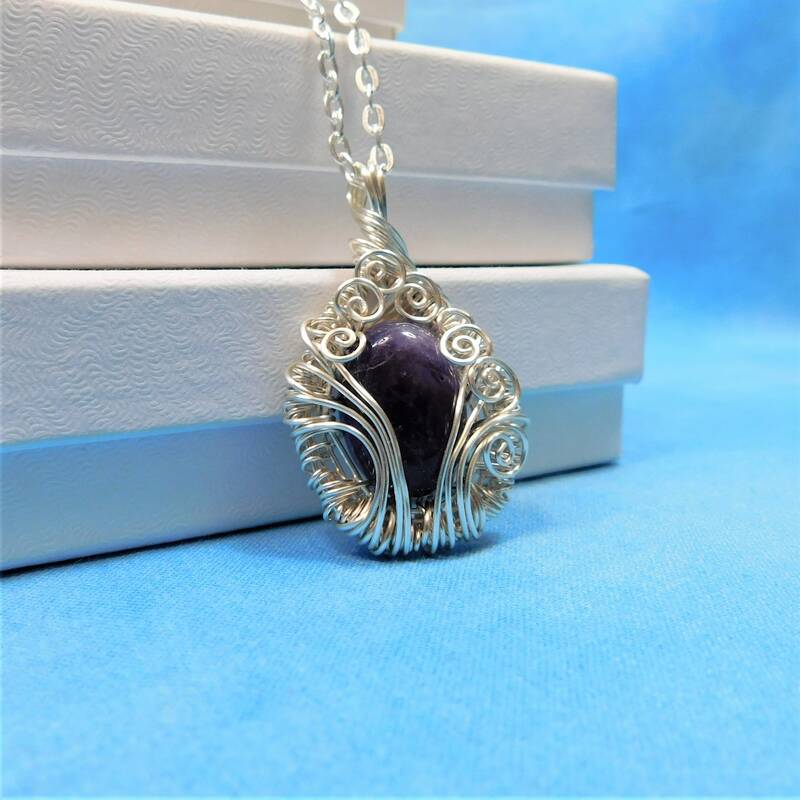 Six strands of non tarnish fine silver over copper wire are meticulously woven by hand, creating the intricate and interesting frame. 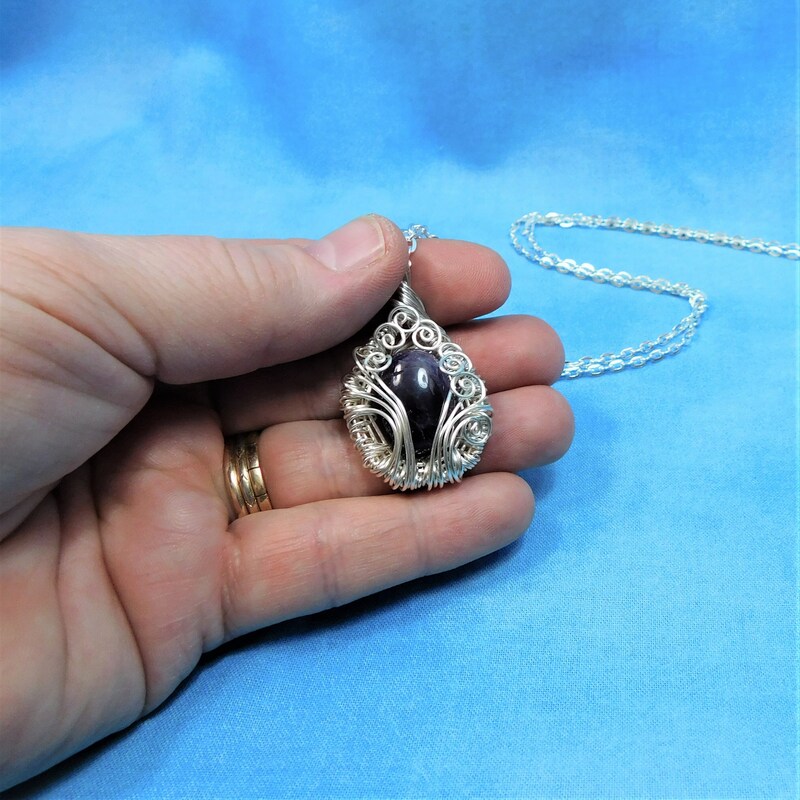 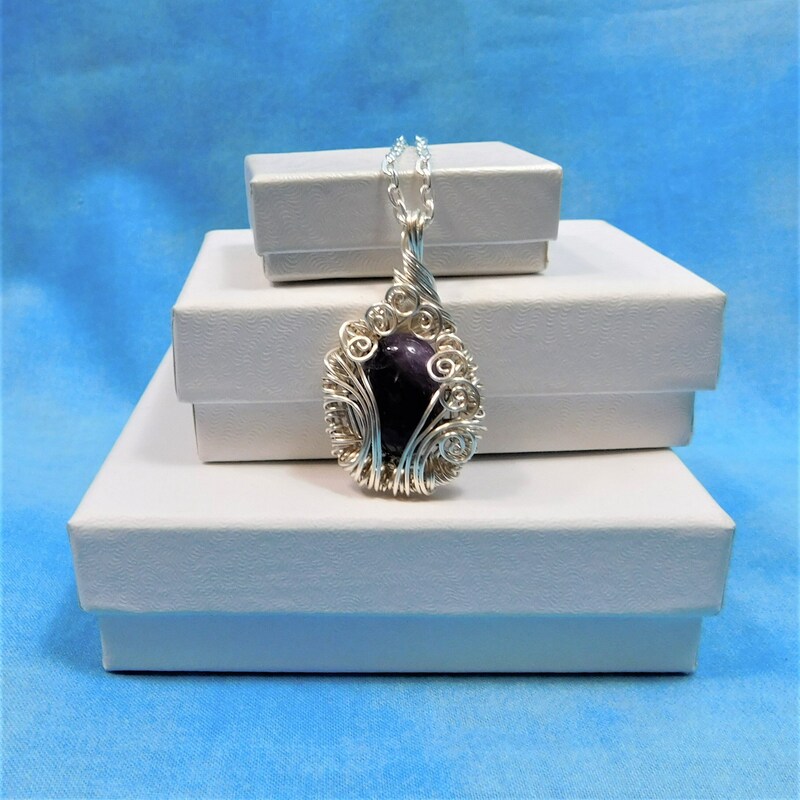 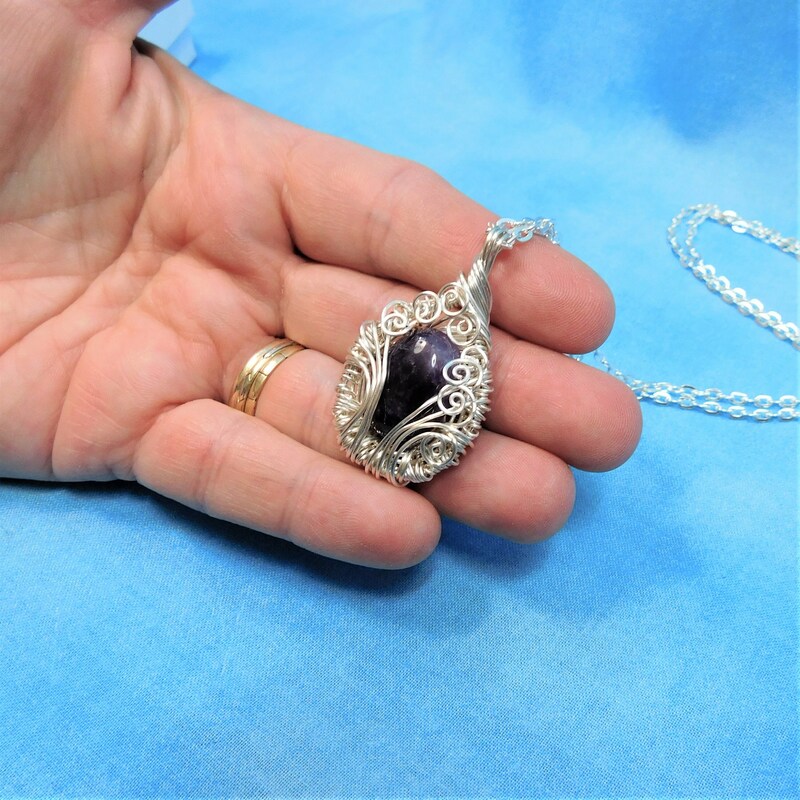 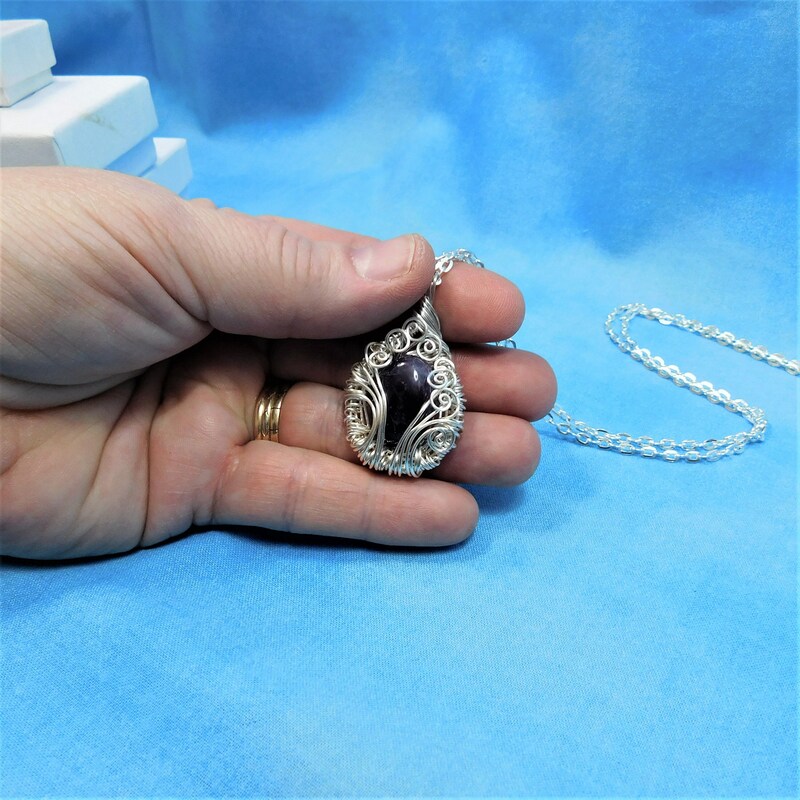 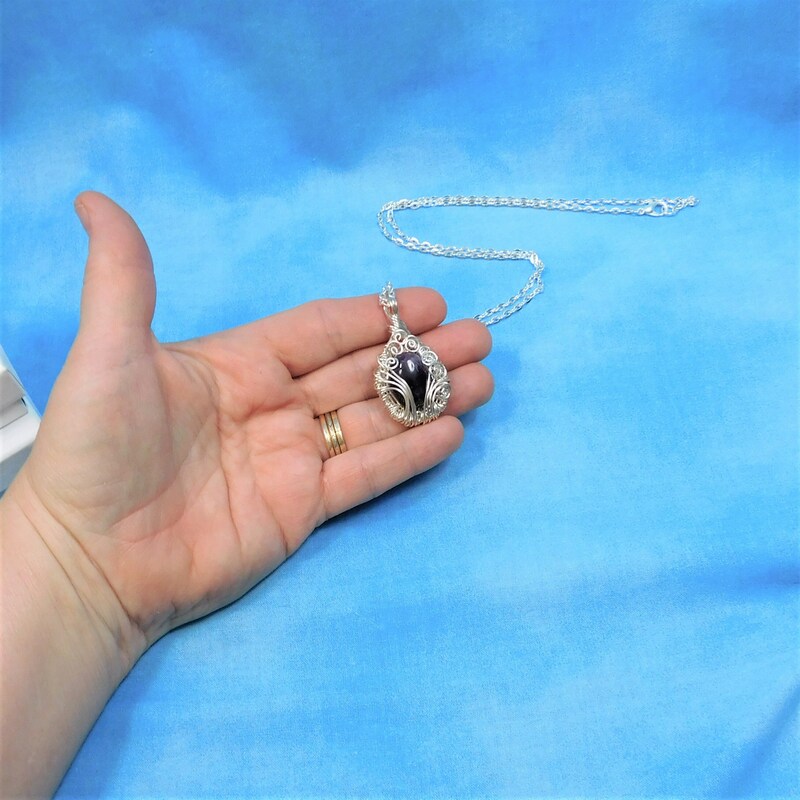 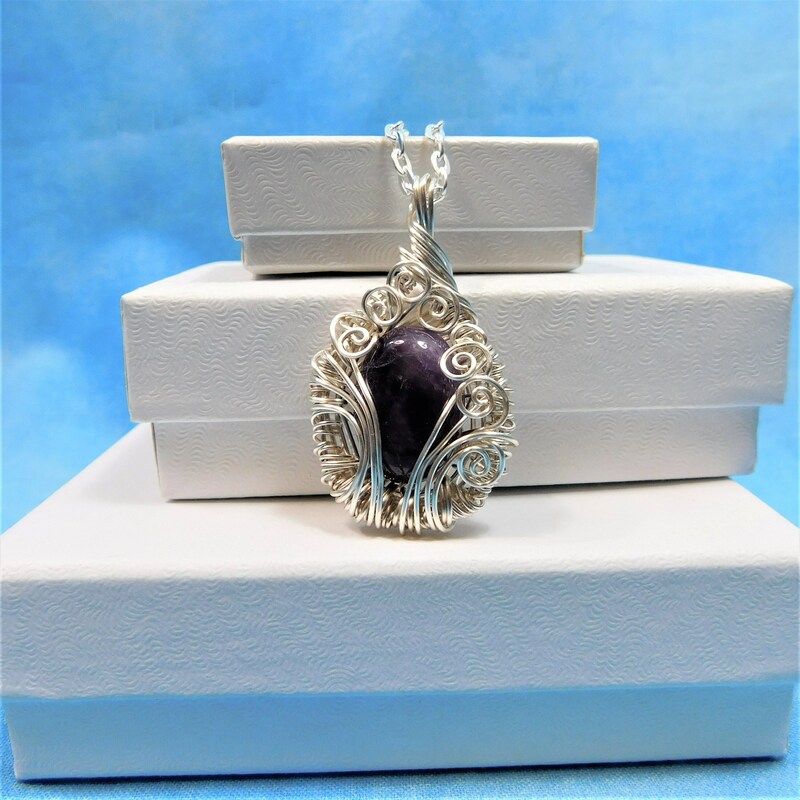 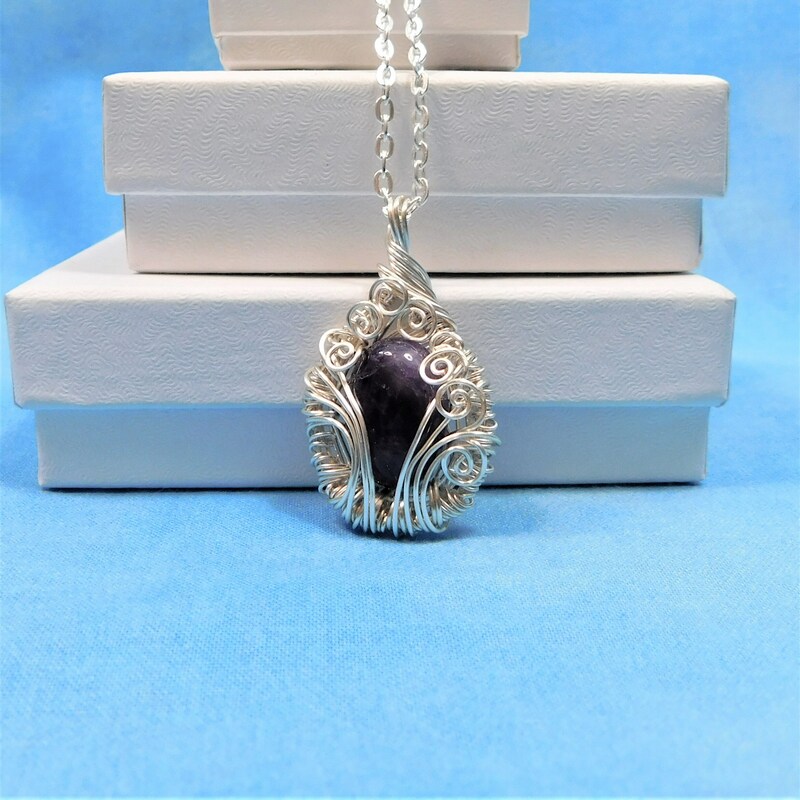 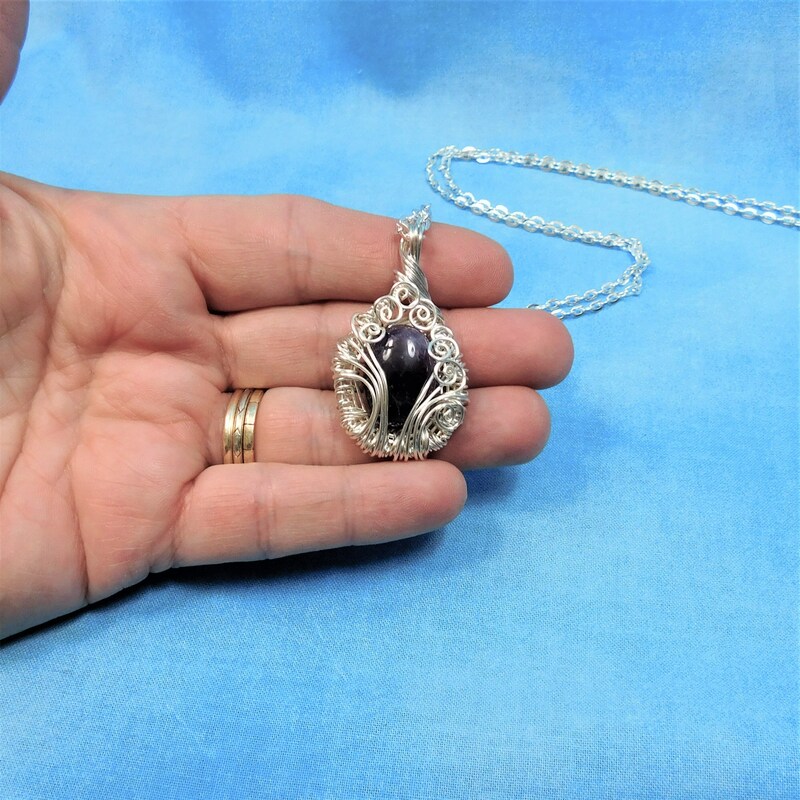 The purple color of the gemstone is enhanced by the bright silver wire.